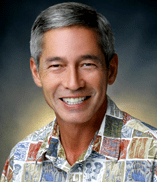 National Rifle Association President James W. Porter II has appointed Hawaii’s Willes Lee to the NRA Standing and Special Committees for 2014-2015. Lee will serve on the Urban Affairs Committee, and as a member of the NRA Civil Rights Defense Fund, NRA Foundation, and Special Contribution Fund. Lee, who supports Hawaii Friends of the NRA and the Hawaii Rifle Association, said Hawaii has an active shooting community, including hunters, self-defense supporters, sports shooters and Second Amendment activists. Two years ago, he hosted NRA President Keene to Hawaii, the first visit by a serving NRA President. Last year, Lee was an NRA speaker on the Freedom Alliance/ACU-sponsored Montreal Cruise. This fall, the Hawaii Republican Assembly will partner with Hawaii Friends of the NRA to co-host NRA President Porter’s visit to Hawaii. Lee is the national committeeman for the Hawaii Republican Assembly.